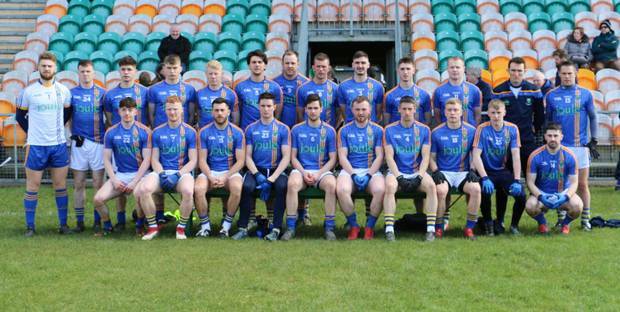 Limerick fell to their first loss of 2019 as their unbeaten run came to an end at the hand of Wicklow in Aughrim. In a game that was very low scoring in the first period as Wicklow held a 0-6 to 0-3 lead at the short whistle, the Second half was a much better affair and it was looking like that Limerick were on the home stretch and on the way to victory when Seamus O’ Carroll goaled half way into the second half. But full credit has to go to Wicklow as they kept plugging away at Limerick and when O’ Brien hit the back of the net for the lead goal, Theo Smith secured the victory with Wicklow’s second goal to finish off the contest. Teams Wicklow Mark Jackson; Oisín Manning, Ross O’Brien, Jamie Snell; David Devereaux, Shane Mooney, Darragh Fitzgerald; Padraig O’Toole, Dean Healy; Mark Fitzsimons, Mark Kenny, Theo Smith; Chris O’Brien, Stephen Duffy, Patrick O’Connor. SUBS: Paul McLoughlin for Mark Fitzsimons (half-time), Dan Keane for Patrick O’Connor (half-time), Conor Heal for Theo Smith (65 minutes), Eoin Murtagh for Stephen Duffy (68 minutes), Fintan O’Brien for Chris O’Brien (74 minutes). Donal O’Sullivan; Seán O’Dea, Garrett Noonan, Paul Maher; Colm McSweeney, Iain Corbett, Cillian Fahy; Darragh Treacy, Tommy Childs; Peter Nash, Jamie Lee, Brian Donovan; Seán McSweeney, Patrick Begley, Seamus O’Carroll. SUBS: Stephen Keeley for Tommy Childs (53 minutes), Mike Fitzgibbon for Peter Nash (53 minutes), Adrian Enright for Brian Donovan (56 minutes), Michael Donovan for Paul Maher (64 minutes), Kieran Daly for Jamie Lee (65 minutes).